On the 15-18 of November 2018, the Stock Exchange of Thailand (SET) held its annual SET in the City event with this year’s theme “Creating the Future of Investment Better than Ever” at the Paragon Hall of Siam Paragon. The event aims to strengthen investors’ confidence in investment and help investors increase their knowledge of investment products by using technology. SET in the City is known to be the biggest investment expo in Thailand where SET joins forces with 100 leading financial institutions to offer investors various investment products including derivatives, mutual funds, and insurance. Highlights of this year event include the introduction of Investment Trends and Tools from more than 40 innovative investment technologies which includes the Wealth Service from WealthMagik. The Wealth Service app that has been recently launched is a portfolio management app that will help investors manage their investment more easily. It is now available to download for iOS and Android devices. 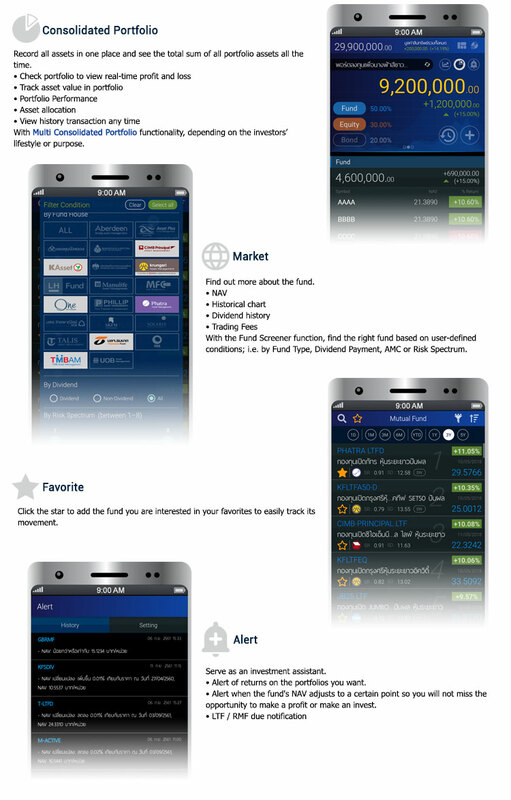 Developed by WMSL, developer of the award-winning Bonanza software, the current version of the app includes the following features stated below. The upcoming version will include the Rebalance Portfolio feature. The app can be download in the link here.